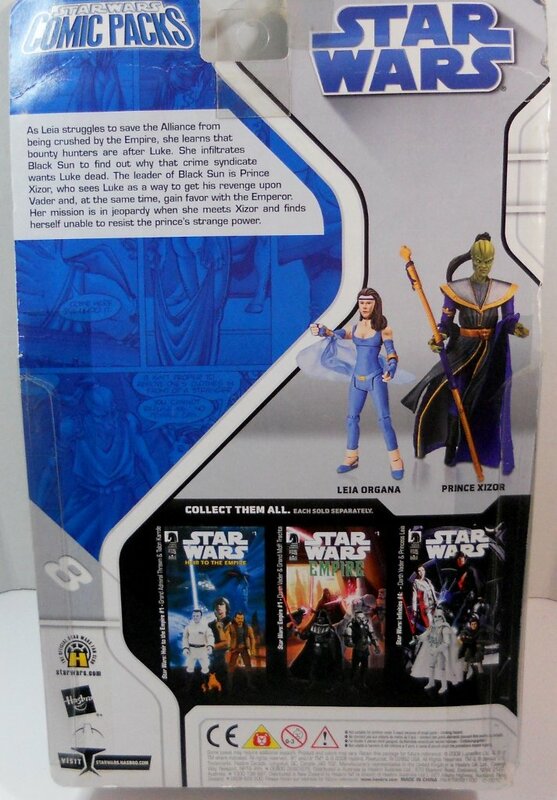 Shadows of the Empire Comic Pack with 3.75 inch action figures of Princess Leia and Prince Xizor with Dark Horse Comic #5. 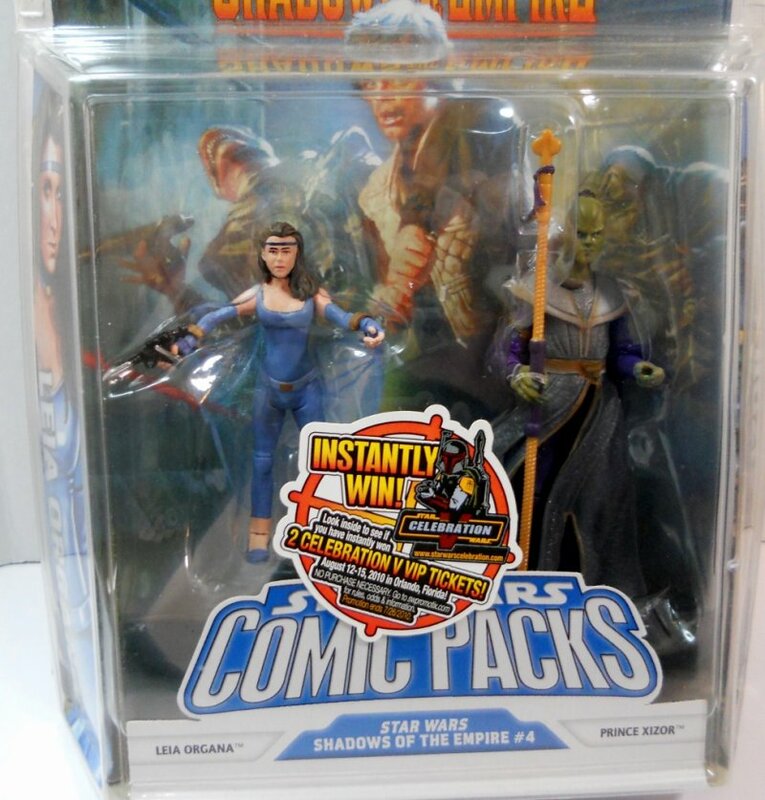 Action figures, accessories, comic included. 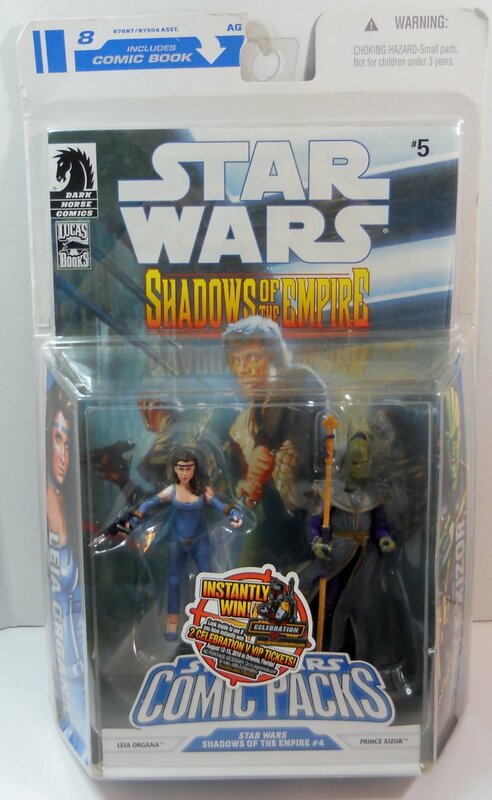 Shadows of the Empire Comic Pack with 3.75 inch action figures of Princess Leia and Prince Xizor with Dark Horse Comic #5. 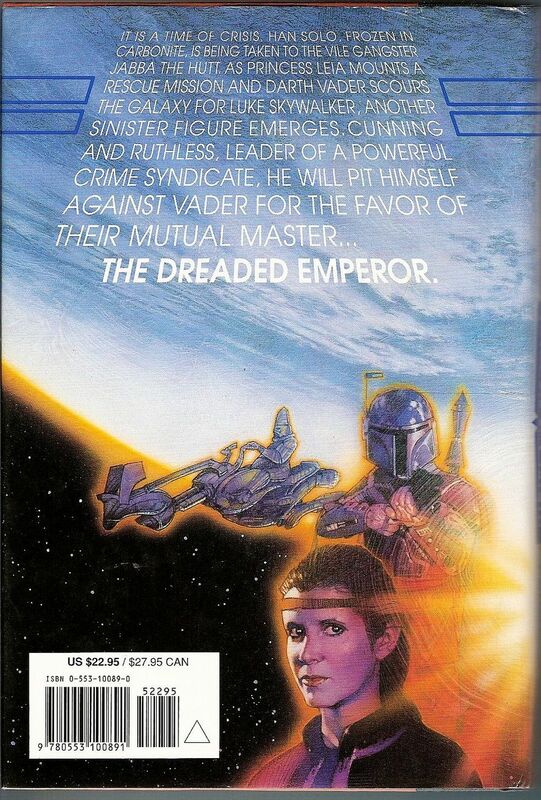 As Leia struggles to save the Alliance from being crushed by the Empire, she learns that bounty hunters are after Luke. 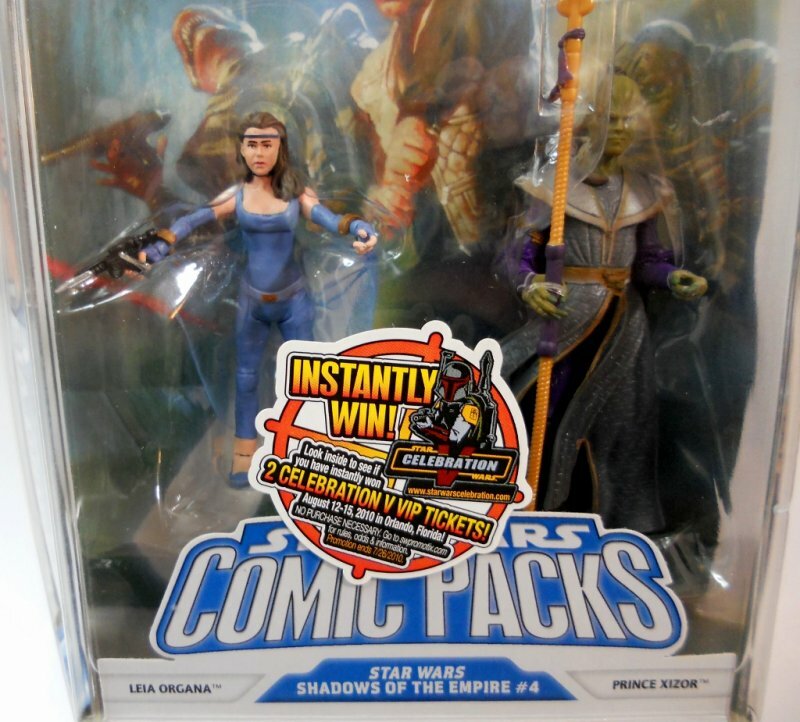 She infiltrates the Black Sun to find out why that crime syndicate wants Luke dead. Ages 4 and up. Small parts may pose a choking hazard children under three years of age.